The Stella Hotel is having a special event for Students tomorrow due to Texas A&M campus being closed for the George Bush event. 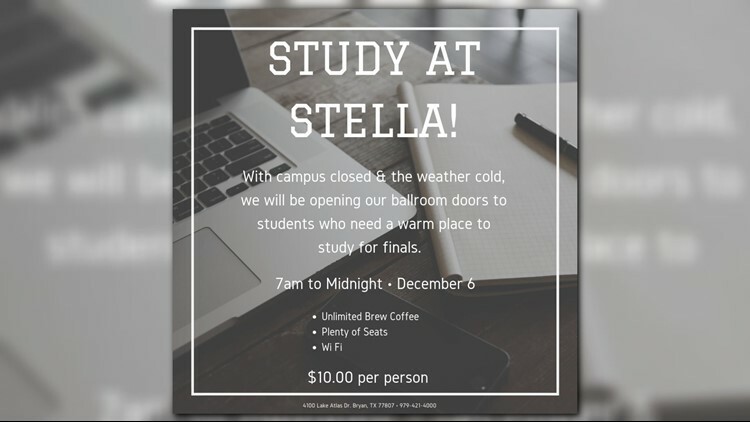 The ballroom will be open from 7 am till midnight for students that need a place to study due to campus being closed. There will be a nominal $10 charge that includes all you can drink brewed coffee.